An elegant Italian Louis XVI period writing table or desk handcrafted of solid walnut with a rectangular having an inset walnut band. 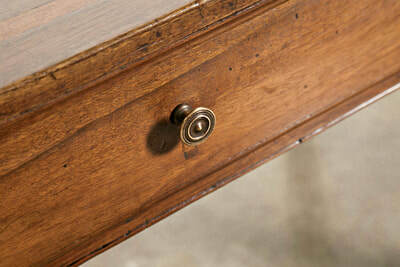 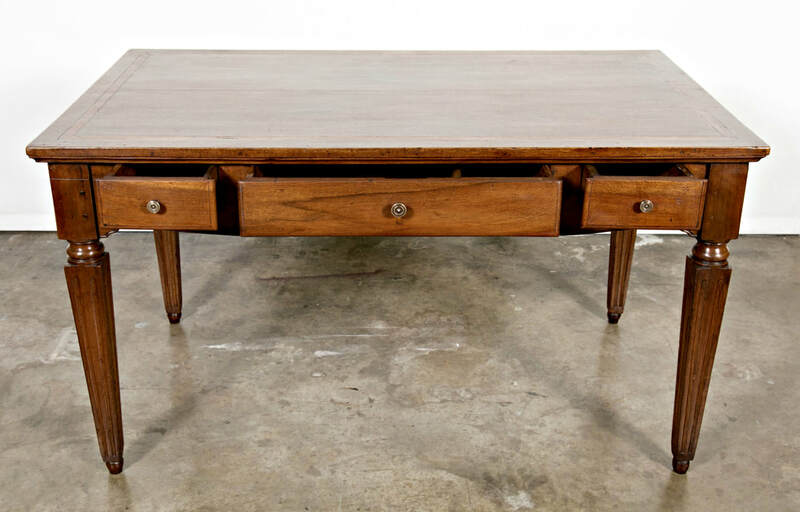 Large center drawer flanked by two smaller drawers on each side with original bronze pulls. 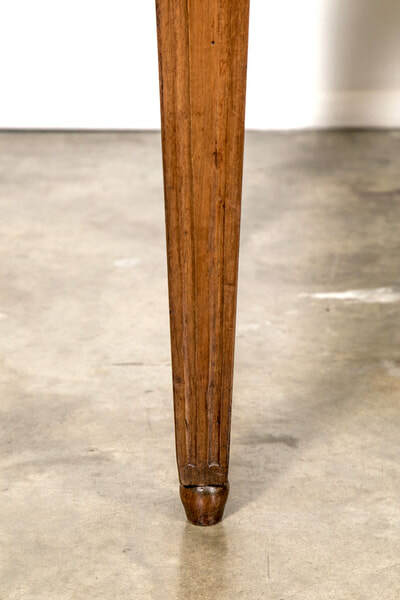 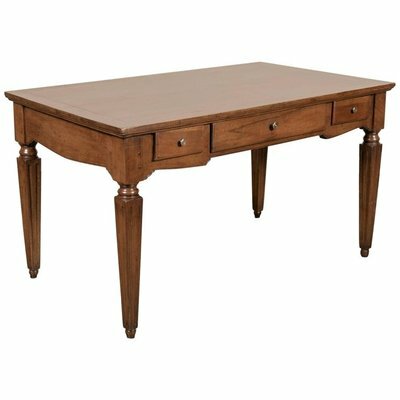 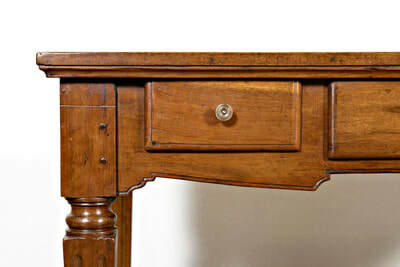 Turned and fluted legs provide support. 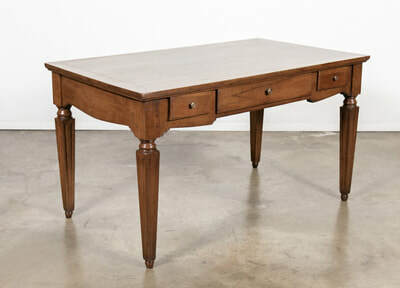 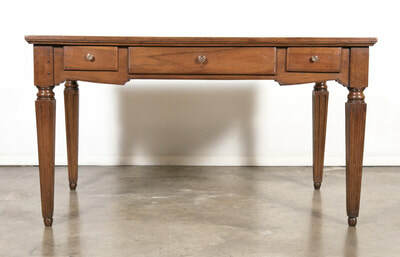 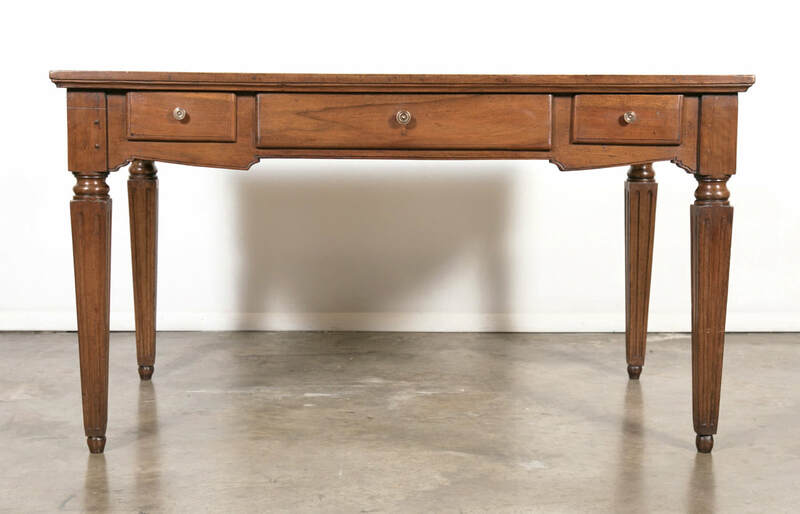 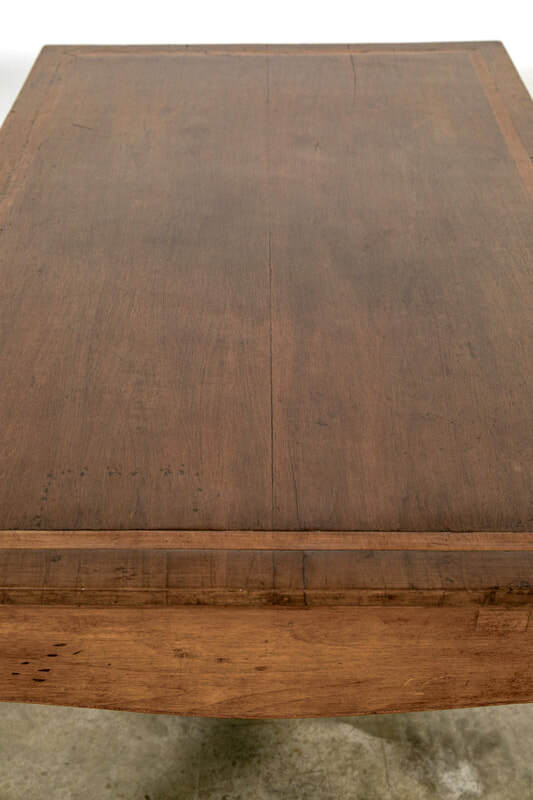 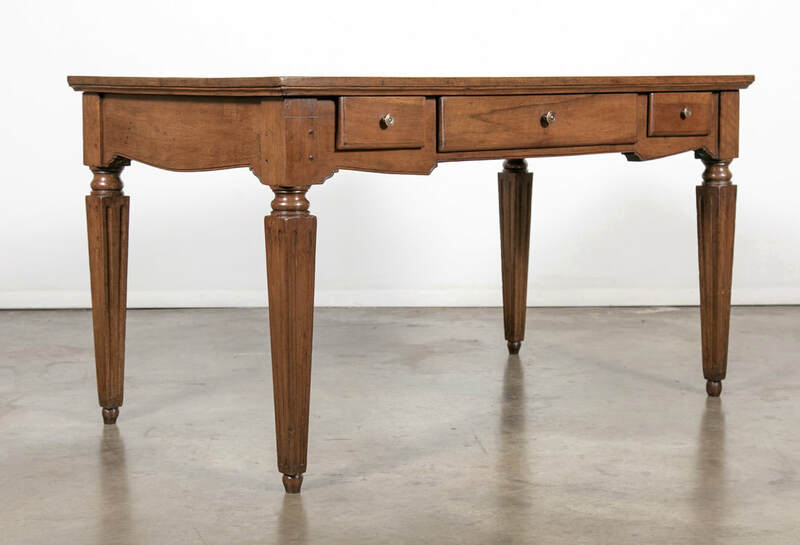 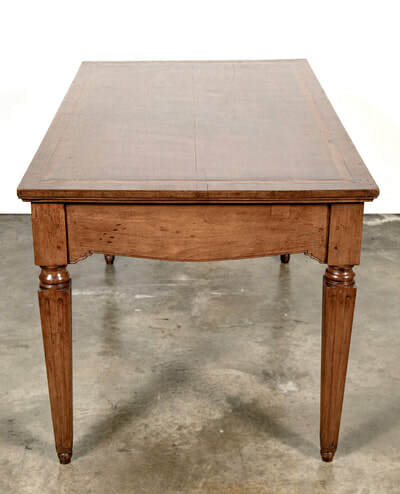 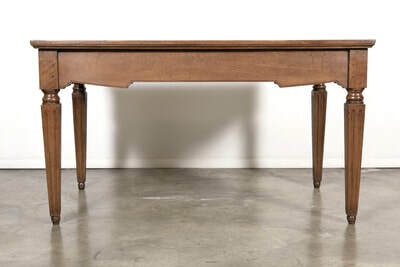 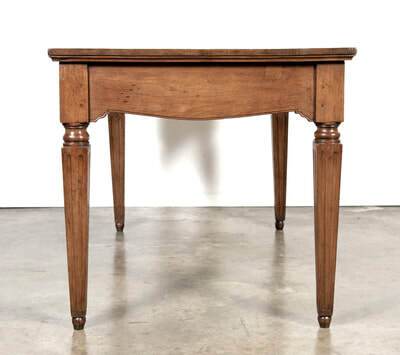 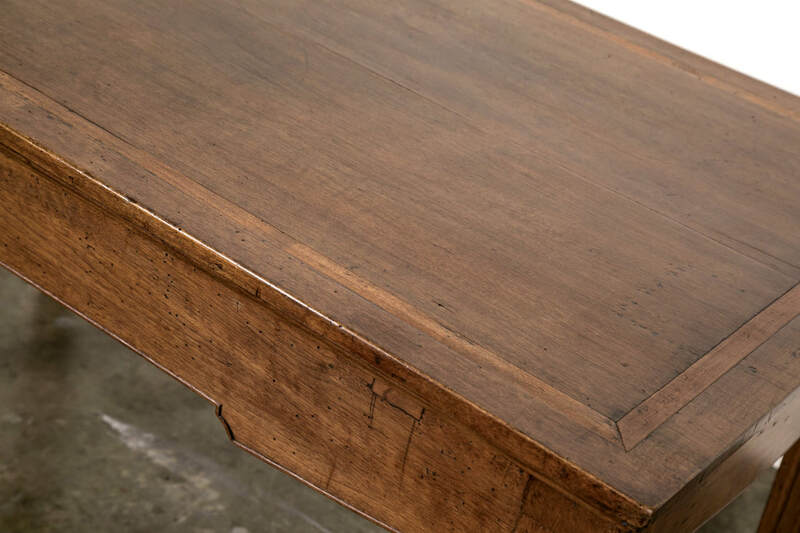 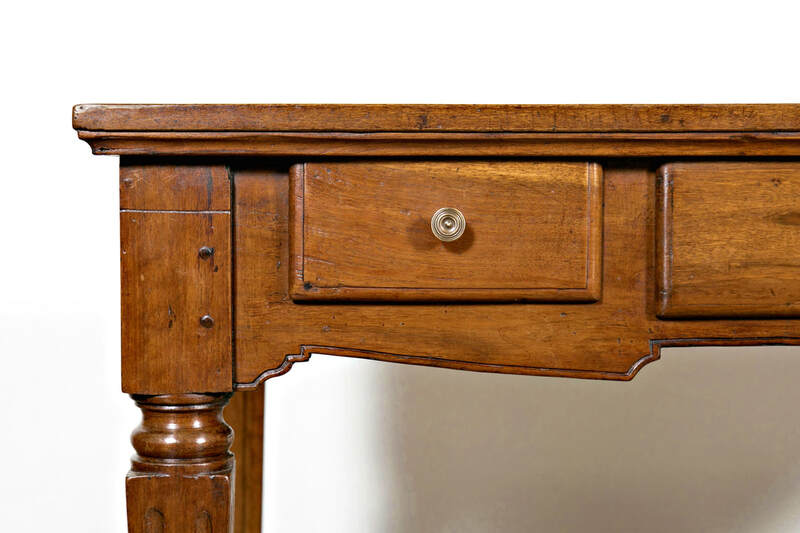 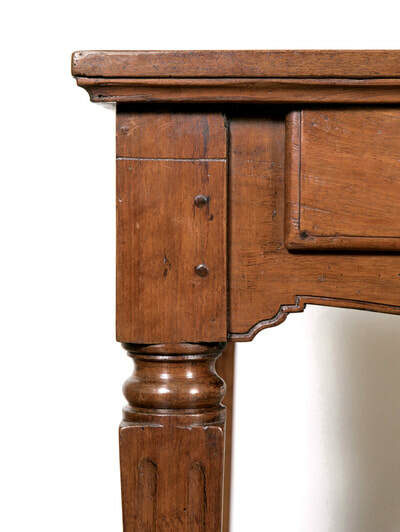 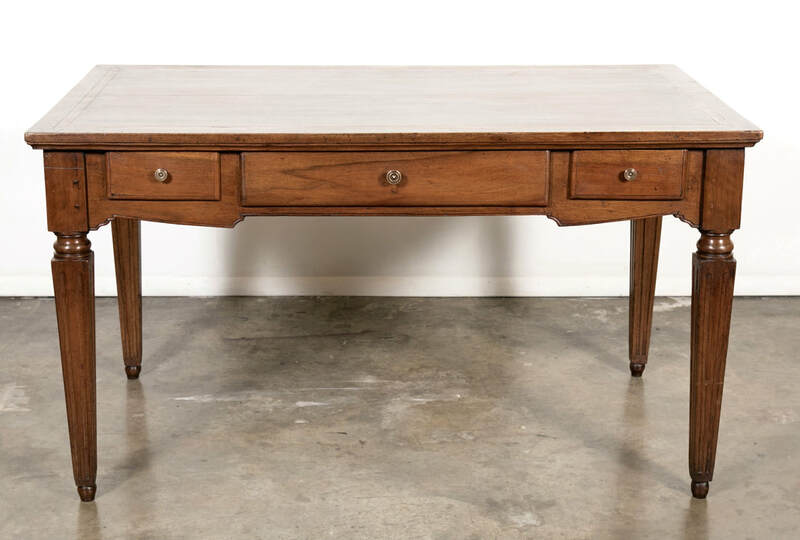 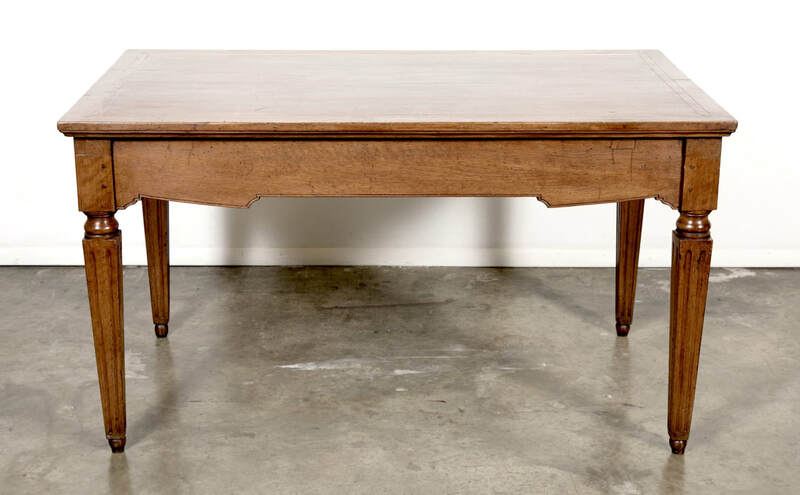 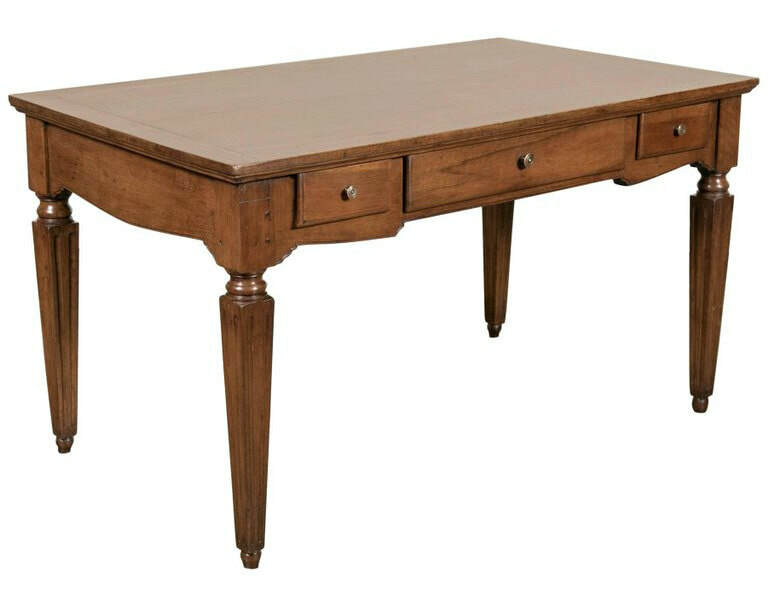 This neoclassical desk is fully finished on all sides, with a wonderful patina, allowing it to float in any room.